INDIANAPOLIS – It’s time to grab your wallets. Indianapolis has tons of boutiques to explore during the holidays, and data backs up that claim. The city recently ranked No. 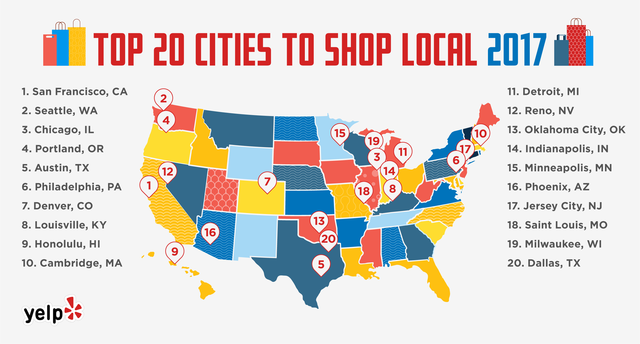 14 on Yelp’s Top 40 Cities to Shop Local in 2017 list. The top spot was given to San Francisco. A survey by Yelp and Harris Poll found 63 percent of Americans will shop local this holiday season, and each person plans to spend an average of $267. Yelp’s list was compiled after they identified the types of businesses that are most popular during the holiday shopping season, which included shopping and food businesses.